So much is being said of Apple Cider Vinegar, what exactly is in it and why is it so important? Apple cider vinegar is the most healthy vinegar. Can this be true? We will find out in this post. 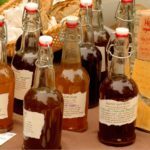 What is in Apple Cider Vinegar (ACV) and how is it made? Apple Cider Vinegar is a type of wine made from apples and sugar. It is very low in calories having only 3 calories per tablespoon. All you need to make it at home is a jar, apples, water and sugar. Being a health site I would advise you use sugar alternatives like fruit sugar, coconut sugar or honey. Method: Chop up the apples and put them in a jar. Pure a mixture of water and sugar on the chopped apples. Cover the jar with a napkin and let it sit for about 2 weeks. Sift out the fluid after 2 weeks and let it sit in the fridge for about 4 weeks. Definitely some chemical reactions went on in the jar turning the solution into vinegar. Regulates the PH in the body. Although ACV is acidic, it has an alkalizing effect in the body. Cancer. Some tests have been carried out to see if ACV reduces cancer. So far, more research needs to be done on it. Diabetics. ACV improves insulin sensitivity in the body and lowers sugar level in the blood. Lowers cholesterol. Diluted AVC does help lower cholesterol. Add 1 teaspoon of ACV to a glass of water. Helps with Weight loss. 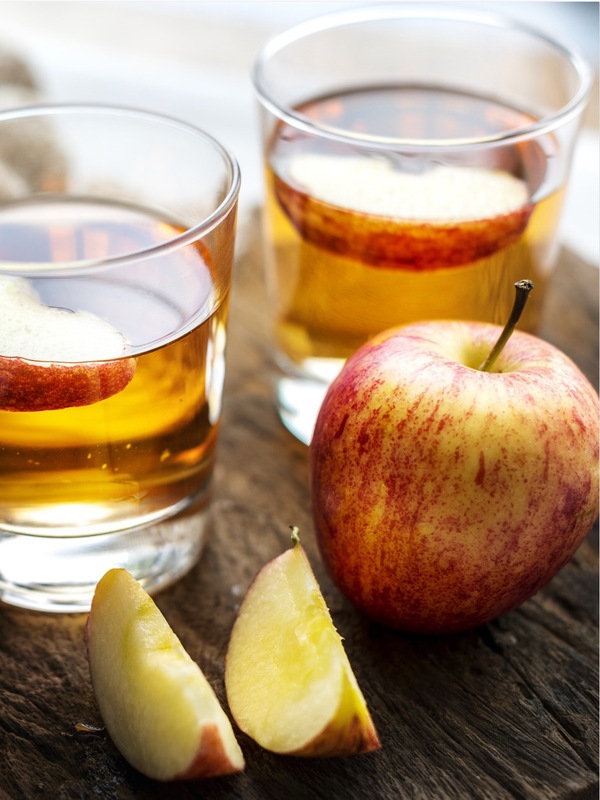 Apple Cider Vinegar makes you feel full longer and you eat fewer calories. Was used for cleaning wounds – ACV will prevent itching, swelling and infection. It is not helpful if a wound is already infected. Rise your fruit in ACV before eating them. This washes away any spray or wax on the fruit. Salad dressing – Sprinkle a teaspoon of ACV directly on to your salad or mix a little ACV into your salad dressing before putting it on your salad. Boil eggs – pour a teaspoon of ACV into the water for boiling your egg. Helps solidify the egg white faster. In drinks – Mix a teaspoon of ACV in your drink. It will mix with tea, water, smoothie or fruit juice. Preserves food – put the fresh food into a jar pour ACV onto the food in the jar, cover it. That should last for 2 – 3 weeks. Use it as a face cleanser. ACV removes dead skin cells, spots and wrinkles. 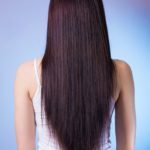 Rinse your hair with ACV – Mix about 5 tablespoons of ACV into 2 liters of water. After washing and rinsing your hair, rinse it with the mixture and let it stay in your hair for 10 minutes. Then rinse it out with water! Foot soak. – Mix 1 liter of ACV to 2 liters of water (you can increase the mixture in a 1:2 proportion). Soak your feet in the mixture for 30 minutes. Do this every day to eliminate foot odor and foot fungus. Weed killer – Apple Cider Vinegar can be used as a weed killer. Do not dilute it, pour it straight on the weed. This method is not effective. The weeds grow back after a short while. – in the kitchen, it would clean all work tops, remove stains from burnt pots and keep the kitchen sink drain unclogged. – in the bathroom it would remove shower curtain mold, clean the bath tub with the toilet and keep the bath drain unclogged. 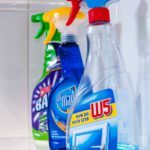 – ACV also freshens the laundry and the washing machine. It cleans the windows and wooden floors. It is acidic and if too much of it is exposed to the teeth, ACV could erode the tooth enamel. It could interfere with one’s medication. Interfering with food digestion in the body. If ACV is taken everyday over the years, it weakens the bones. Apple Cider Vinegar is very acidic, I would recommend it for external uses such as cleaning, weeding, foot soak, hair rinse, and for food preservation. For intake, please take non or very little. Such as: 1 teaspoon of ACV into a glass of water and drink once a week. Do you like Apple Cider Vinegar? Do you use Apple Cider Vinegar? How did you find my post about it? I would love to hear from you. Please leave a question or comment below. Apple cider vinegar is good for so many things. I’ve used it for acid reflux. I use a small amount – like a teaspoon in 8 or more oz of water and some honey or another sweetener. Honey is good for it’s own benefits. And as you say it’s good for helping in weight loss. Drink some before you eat. It will curb your appetite and give you health benefits. It tastes good! Thanks for your article! Great review on Apple Cider Vinegar. I personally use ACV for almost everything you have mentioned in your article. My Mother even did rinse my hair with it when I was a kid and she also used it as a softner adding it to the last rinse cycle in the Washing machine, it really makes the clothes soft and there is NO smell of vinegar. I do appreciate further that you do caution about not using ACV for too long internally. 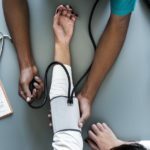 My husband, for example, is very sensitive to it and when he would take too much it will lower his Blood Pressure too quickly and he would get dizzy. However, in my case it is ok and I, once, have used it, for a while, when I was on a weight loss diet. ACV is very versatile and it is a great help for so many things on a daily basis. Thank you Sylvia for coming by and for your comment. This is a great review with lots of important information about Benefits in drinking apple cider vinegar. 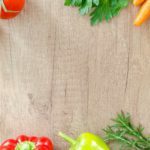 I didn’t have any idea about this apple cider vinegar.After reading your article I understand that it is very good for our health.It is very easy to make.It has many kinds of benefits such as health and beauty which is very important for the people.Really this is an awesome product.I love this article very much.I will share this great article with my friends and relatives. Thanks for sharing this informative article. First thing first! I like the site in my first view because of the font you used. It is looking very nice indeed. My question to you is How it can be benefited for the diabetes patients? Because as it is made from apple & sugar, so there is sugar in both ingredients. So how can it lower the sugar level? You said that shift the mixture of apple, sugar & water to a fridge for 4 weeks to form ACV. In India, we use to keep this mixture in the sun to have a chemical reaction. Thanks for coming by and for your questions. First, when apples, sugar and water have been sitting around for weeks, the combination is no longer sugar. It is acidic, this acid has an alkaline reaction in the human body, it will lower sugar levels. Second, here in temperate weather, we keep our mixture in the cellar or in the fridge. That’s how good wine is made and that is how Cider is made. I’m curious to taste the apples fermented in the sun, they should have their own uniqueness. Very helpful and interesting article on Apple Cider Vinegar. I already read about the benefits of apple cider vinegar on the Internet. But I never use apple cider vinegar. Thank you for including how to make apple cider vinegar in this article. This is exactly what I was looking for, how to make ACV. I’m happy to be of help Ranao. Hi, I read your whole article about the benefits of drinking Apple cider vinegar. This is a very educative post. After reading this, I learned many things about it. You mentioned a lot of good things here. Apple cider vinegar comes in many ways of the body. Which prevent us from any diseases. Thank you so much for sharing this. Now I am going to share it with my family members. I was very excited to learn about apple cider vinegar. I have been taking a tablespoon each day to help balance my gut biome. I was concerned to read about too much apple cider vinegar being bad for you. My grandparents used to drink a mixture of honey and apple cider vinegar diluted with water. My grandfather swore that it cured his arthritis. I can’t really say. Thanks for posting this. I look forward to reading more on your site in the future. Thanks for your comment Ellen. Our grandparents were very good with taking care of themselves using natural food. Grandpa must have been taking the right quantity of ACV. Interesting article. I did not know that ACV had so many uses. Apparently, it could be used for just about anything. Could you use Stevia as a replacement for sugar? I would like to do a bit more research regarding diabetes and cholesterol. Not that I have any doubts about your opinion. I just want to verify that the information is accurate. I would definitely try it for cleaning etc. Thank you for a very informative article. Hi Cherryl, is always better to use fruit sugar than to use a sweetener. Thanks for your comment. Thanks for sharing this article on Apple Cider Vinegar. This is really super rich in its benefit to the body. I haven’t tasted ACV before but reading about its numerous benefits to health, and the body, I can’t but just give it a trial. It is amazing it helps lower the blood sugar content for diabetes, help with loss, heal heart burns and also useful for domestic purposes. I am impressed about ACV. I will have to get this product and taste it. Thanks for sharing this article. Good job! I like the information and the colorful open feel. I think we all can benefit of stepping away from the drugs and getting more of nature’s wellness into ourselves. I think the herbs section is my favorite. I plan on trying out many of your suggestions. I too am not diabetic but my A1C is creeping upward. I guess I should just eat better but what fun is that? Thanks for a nice read.